This Digital Data Series (DDS) report is primarily a selection of USGS science products that were previously published as paper atlases and maps but are no longer available in their original form. We have made an attempt to preserve the paper atlases by having them scanned in an efficient compressed digital format that provides a print-on-demand as well as a programmed viewing capability of the original material. We included additional materials bearing on aspects to enhance the scientific understanding of coastal erosion and wetland loss in Louisiana. 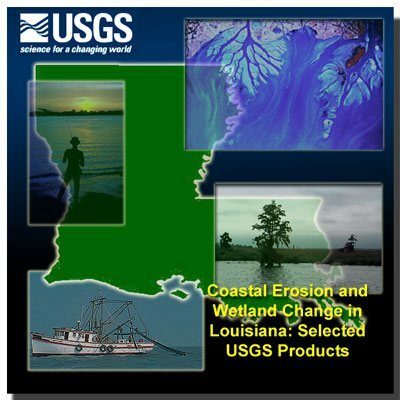 In addition, this report contains multimedia-based publications including photographs, a 48-minute video, and map tools to allow the user to experience the many scientifically based research activities that are in progress along the coast of Louisiana.